Q. I'm going to rent a car when traveling for Thanksgiving. I understand that my credit card will provide rental car insurance. How does this coverage work? --E.S., Hanover, Pennsylvania. A. Your own auto insurance policy most likely covers rental car damage and liability, up to the same limits as for your own vehicle, and that insurance kicks in first. But your credit card can fill in the gaps, such as the deductible. The coverage varies by card issuer and requires certain steps. All Visa, Discover and American Express cards and some MasterCards, provide rental car coverage. 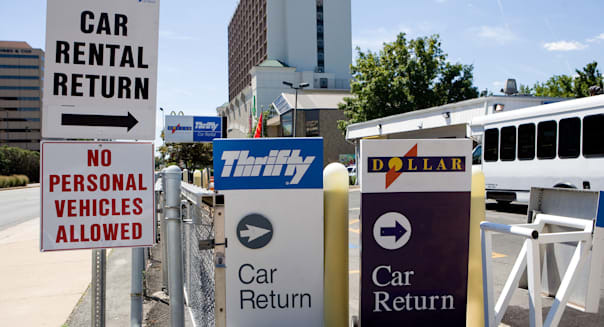 To qualify, you must reserve the rental car with the same credit card you use to pay for it. You must also decline the rental company's supplemental insurance and collision damage waiver. The card company may limit coverage to 15 or 31 days, and it may not cover cars rented in certain countries, according to Card Hub, which provides credit card rates and other information. Most card companies don't cover trucks, and American Express doesn't cover some full-size SUVs, such as Chevy Suburbans and Tahoes, GMC Yukons and Ford Expeditions.